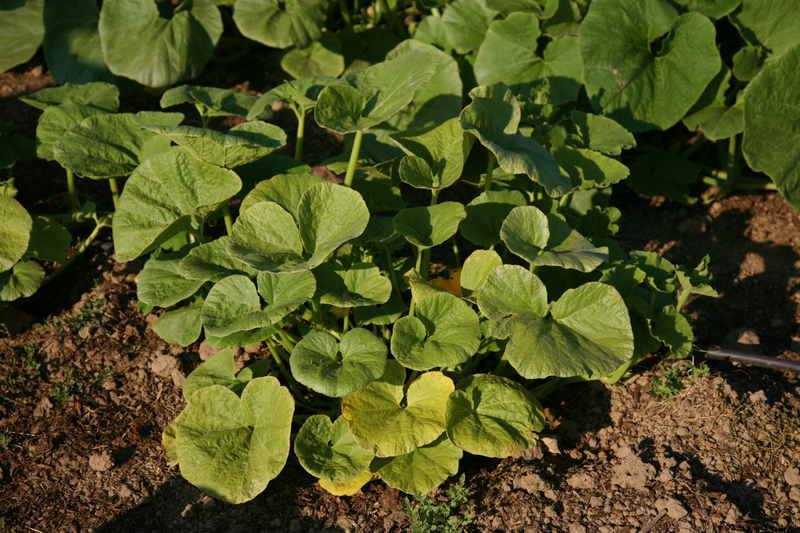 The squash are our hope for the future: we have hundreds and hundreds of them planted. 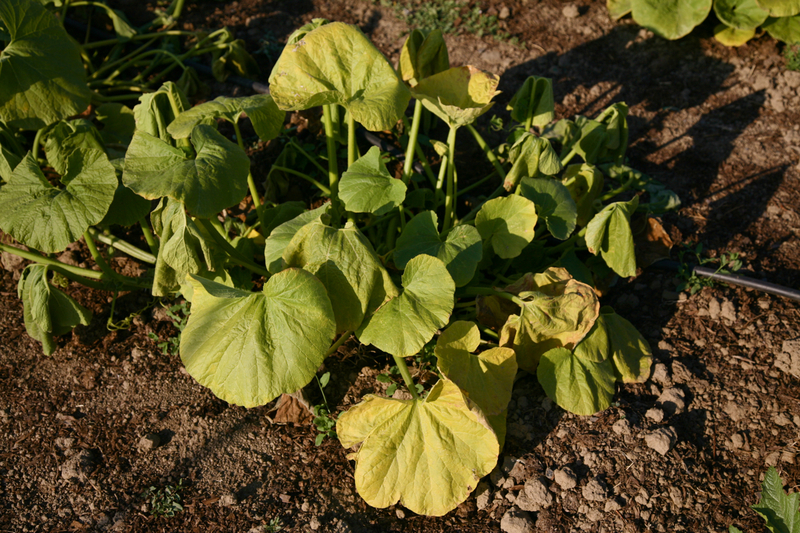 Delicata, acorn, kuri, butternut, various varieties of pumpkins, not to mention our zucchini, yellow crooknecks, canteloupes and melons. We went big on the winter squash, thinking it a particularly useful crop: since they store so well, they’ll make it to farmer’s markets week after week without a problem. 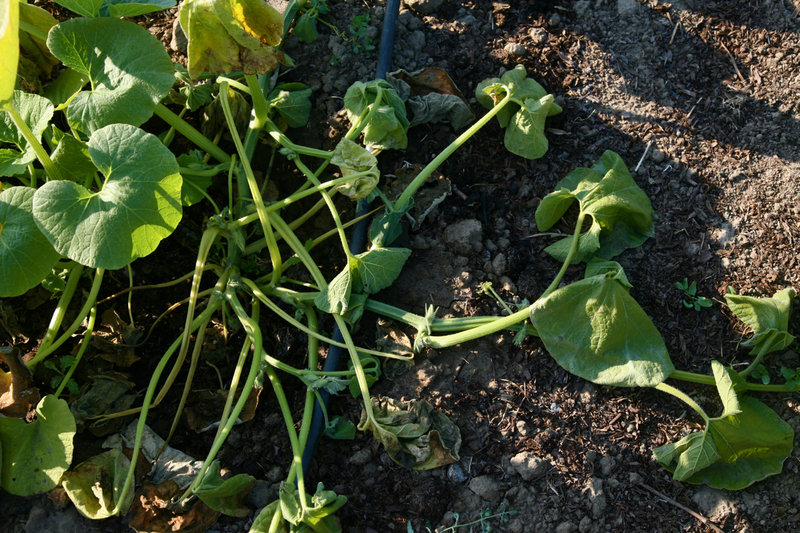 But suddenly, in a few distinct places, healthy, beautiful squash plants are in various stages of decay. First yellow leaves, then sustained wilt (utterly unresponsive to water), then a horrific sight: a completely flattened, point-of-no-return plant. bummer on the cucumber beetles -hate is not too strong a word for my feeling on them. I tried Cedar oil – it helped a little. NEEM oil is supposed to work but have not tried it yet. 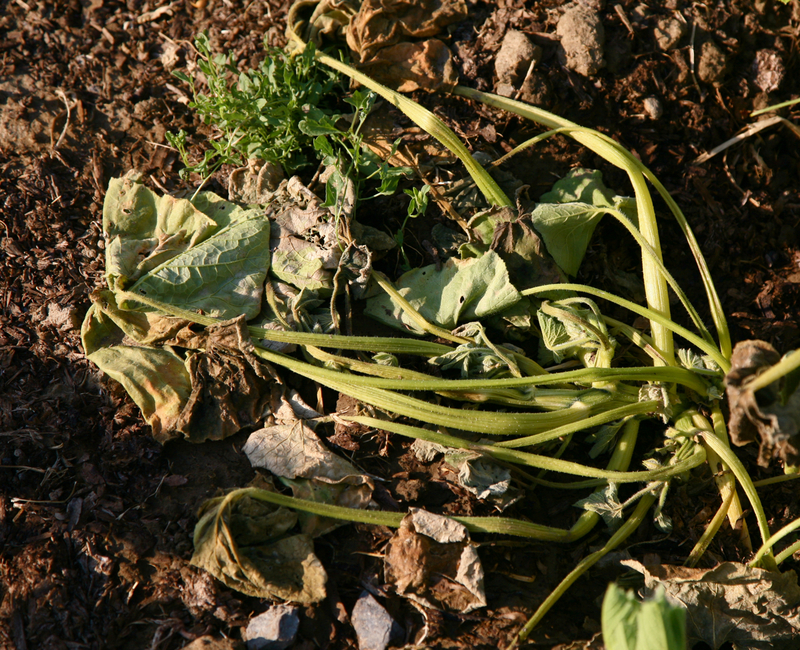 Make sure to dispose of the plants and not compost them -bacterial wilt survives.